9 June 2013: possible new tombs in Aswan? A story has been circulating this week about the locals finding some tombs in Aswan, but not revealing them to the authorities. None of this can be independently confirmed, but this link does show a very nice and interesting tomb of a mayor of Aswan called User of the reign of Amenhotep III of the 18th dynasty. There is a link on this page to the Facebook page of an Egyptian Inspector with a video of this tomb. I am struck by the similarities of this tomb's design and some aspects of its decoration with the tombs of el-Kab, and between them they form almost all of what we know about elite 18th dynasty burials outside Thebes in southern Egypt. Note User of the new tomb is a mayor of his city, like the famous Pahari of the same date (Amenhotep III) at el-Kab. Late April: Khufu's Red Sea harbour? I was highly intrigued by the news reports in April of the discovery by a French mission of a site of a harbour and related constructions at Wadi el-Jarf, a town on the Red Sea shore 180 km south of Suez. 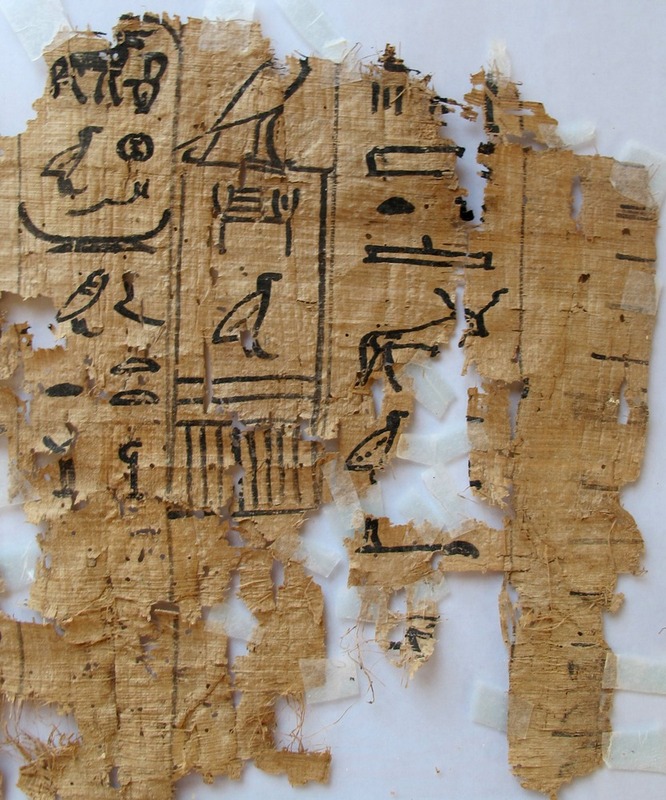 In addition to structures, artefacts and the like, there is the incredibly important find of the earliest inscribed papyri know from Egypt, one of which bears the Horus name of Khufu, the builder of the Great Pyramid at Giza, fourth dynasty, about 2550 BC. I give below a number of URLS to stories, and to images of the papyri. What is remarkable also about the papyri is that their style is eminently recognisable to anyone familiar with the Abusir Papyri of the fifth dynasty. I realise I haven't used this for several months. There are so many news sites now that this site does not have the importance it once had. However, I am about to add a couple of entries on discoveries which interest me particularly which have come to light in the past couple of months.